I’m not usually one to reach out and share my life, but since finding you 5 months ago I feel the need to do so! My husband and I moved to Texas from Ohio in July. After filing for bankruptcy, losing our business, and our first home, we needed change. Our 2 years spent in Ohio following my husbands 5 year enlistment in the Marine Corps were 2 of the hardest years of our life. It was hard on our children, it was hard on our marriage, it tested every aspect of our lives. To deal with the stresses of business ownership my husband was dabbling with substance abuse thinking that would take care of it. Our personal finances were a mess. The business finances were a mess. We were always behind on something. We talked about divorce on more than 1 occasion. We had a 5-year-old, an almost 2-year-old, and were pregnant with our 3rd son. LIFE WAS HARD. Everyday was a struggle. I’ll never forget our first Sunday at Milestone. We have never felt so welcomed ANYWHERE. I remember my husband saying “I don’t know what these people are drinking, but I want all of it” – we never had the opportunity to get plugged into any previous churches we attended. We’d never heard of “Small Groups”. Milestone has been the biggest blessing in our lives. We’ve been attending the “Who am I?” series and got plugged into a small group. Today at church, Pastor Jeff was covering the “Who am I when I feel alone?” subject. He talked about divine relationships. He talked about God placing you where you are meant to be and with the people you’re meant to be with. Since finding Milestone I truly believe all the bad that happened in our lives these past 2 years has been God’s way of leading us to Milestone. I now have a spiritual family—something we’ve never had. I have people from my small group I can reach out to when I’m having a bad day and need someone to lift me up and pray for me. My boys enjoy church so much and they use to HATE going to church. I’m at Milestone every chance I can be. I attend some Saturday evenings, every Sunday morning, and I’m in 301 Monday evenings. I serve as a greeter every other Sunday at 12:30! I attended 101 and 201, as well as serve. I was water baptized this previous baptism weekend. I love being at Milestone and being a part of everything. Our marriage is amazing, my husband has a great job, my boys are happy…we give all the glory to god! Thank you from the bottom of our hearts for allowing us the opportunity to be a part of such an amazing church family. You’ve made such a difference in my life, and the lives of my family members. I absolutely love this. Way to go Lisa. You and your family have truly found home! Way to embrace the process. It leads to a great place of belonging and having spiritual family you can lean on! This is such a great testimony of Spiritual Family! 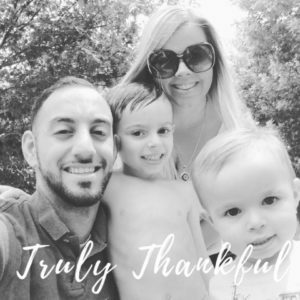 We are so thankful for you and your family, Lisa! 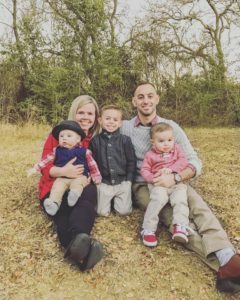 I just love stories like this of life change and spiritual family. This is what it’s all about!